House projects have been constant around here lately. Minor renovations in the bathrooms, getting a new roof (Thank you, hail damage! 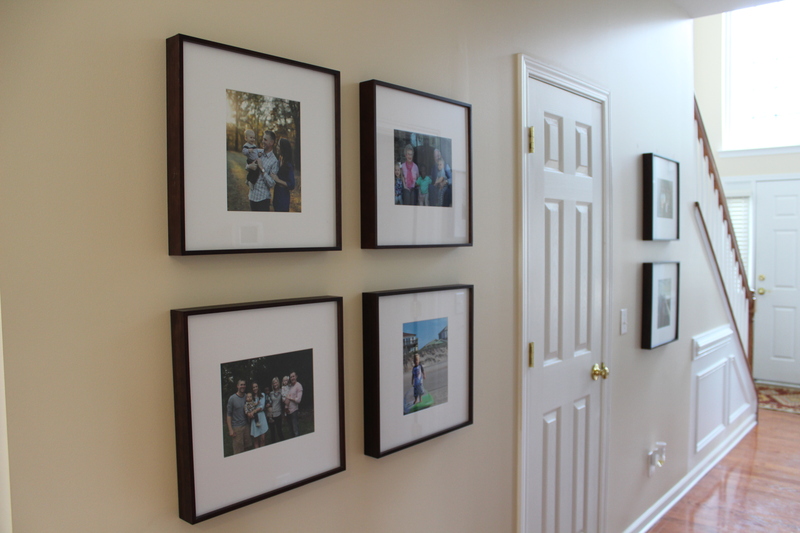 Seriously, major blessing in disguise), and working on an updated gallery wall in our foyer to name a few. 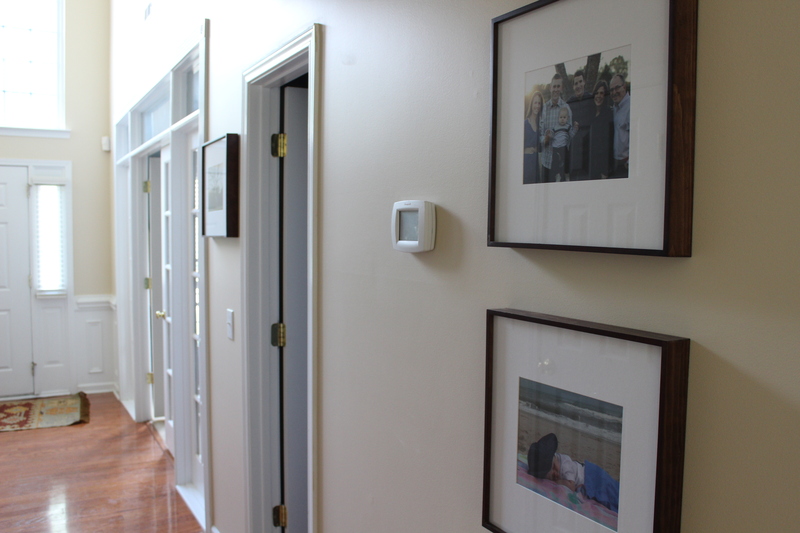 I wanted to have matching frames on each wall space with pictures of family. I found some 16×16 square frames from Michael’s. The frame is thin and a dark brown. 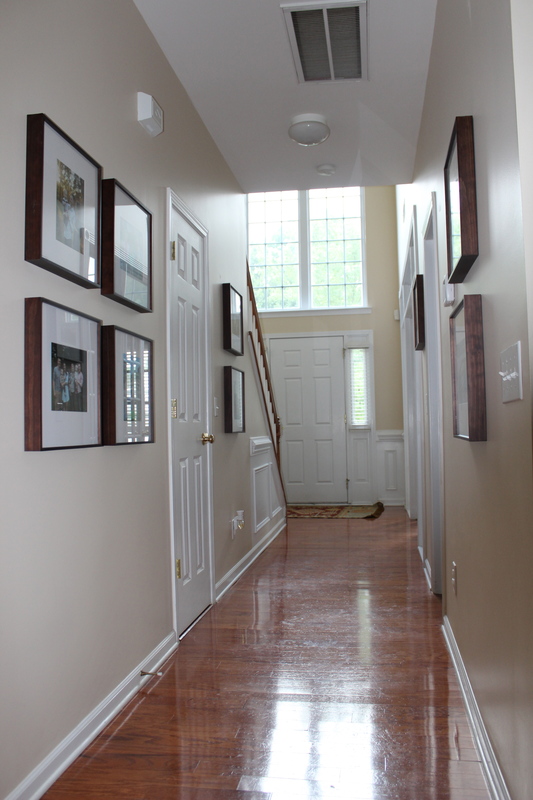 They have 8×10 openings for pictures and can be hung so that the picture is either horizontal or vertical – so easy! I can’t find them online, but I think they still carry them in stores. My original plan was to have twice as many as we have now, but once we started measuring them out we stuck with 9 total. 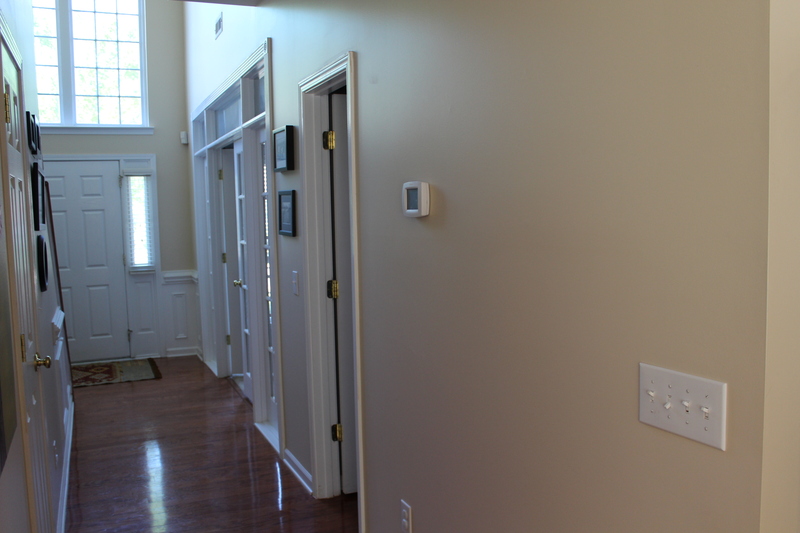 We had to work around existing things on the walls, like the thermostat and light switches. Todd hung them 4″ apart from each other. We’re happy with how it turned out, and we’re enjoying having more family pictures! 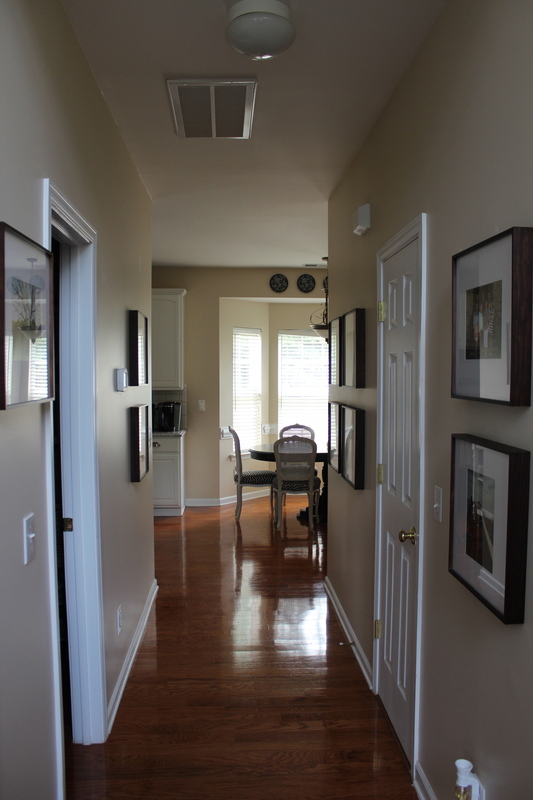 The two pictures above are taken from just inside our kitchen. Still standing in the kitchen, looking at the wall on the left. This is the wall on the opposite wall of the pictures above. The picture on the bottom is from the beach last summer. Davis never falls asleep anywhere other than in his crib or sometimes in the car. But this day (he was about 7 months old) he took an epic nap on the beach and it was basically the cutest thing ever. It is one of the most precious pictures of him, and it was taken on Topsail Island – our favorite! 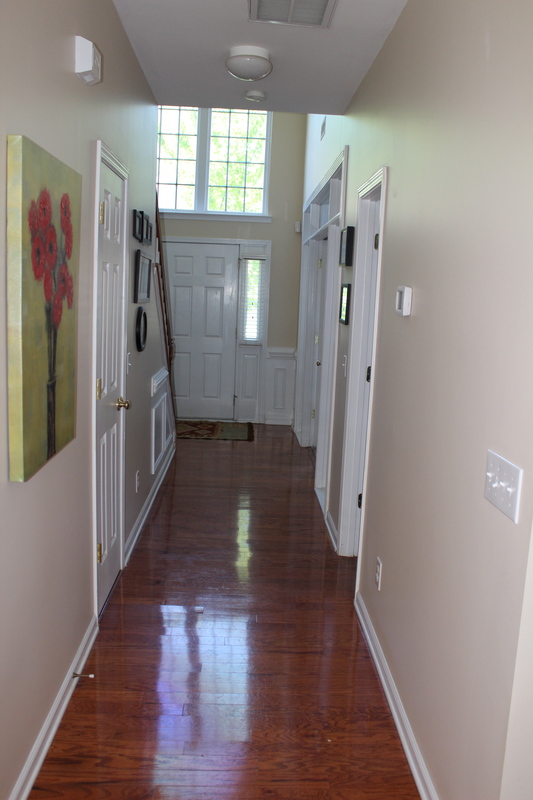 This one is looking the other direction, from the front of the house into the kitchen area. 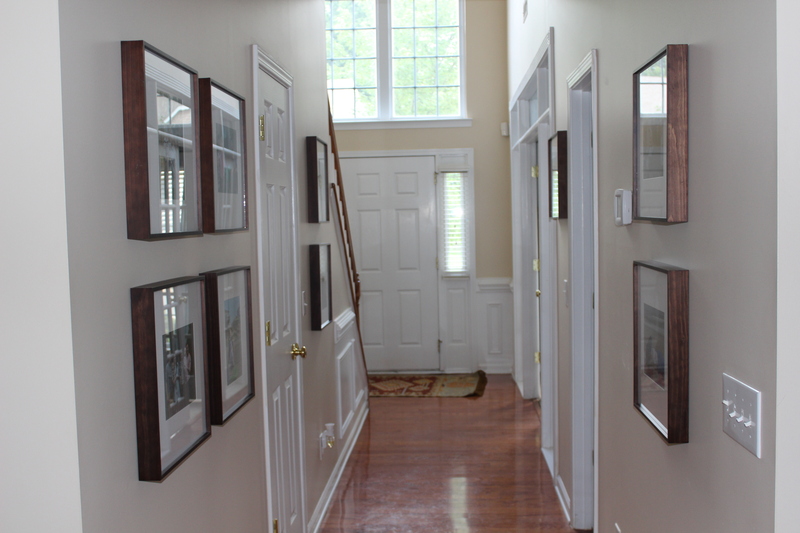 I’m happy to have an updated entryway. Also, major props to my husband for tackling yet another home improvement project! Happy Saturday everyone! Enjoy your weekend! Another Mexican meal, another salad. I am terrible at thinking outside the box! 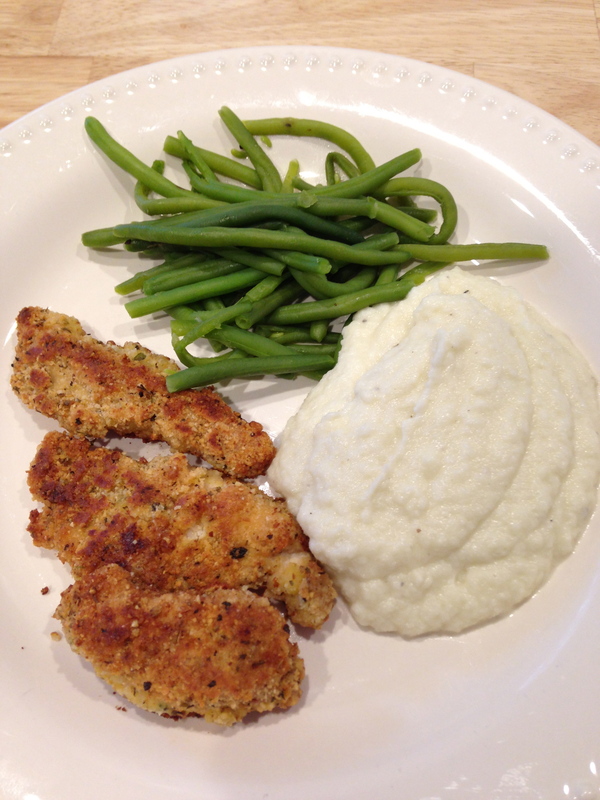 I am working on that (seriously), but before I stray too far from my staples, I had to share this recipe. This is not a completely original recipe. I actually got the majority of the recipe from Gwyneth Paltrow’s cookbook “It’s All Good.” No, I’m not a huge fan of Gwyneth Paltrow’s comments to the media, but I do appreciate her cooking style. She eats an extremely clean diet and truly focuses her food and recipes on how they make you look and feel. I checked her book out at the library earlier this summer and bookmarked several recipes to try. One of them was her Mexican Green Goddess dressing. I’m calling my version Mexican Ranch Dressing because: 1. It is not vegan 2. It has mayonnaise and 3. It has buttermilk. Oops. ;) Even with these variations, it is a healthy alternative to normal Ranch dressing, and it goes perfectly with the flavors from the salad. Todd and I loved it and had to resist the urge to grab the bag of tortilla chips and start dipping! Wash and chop the vegetables. 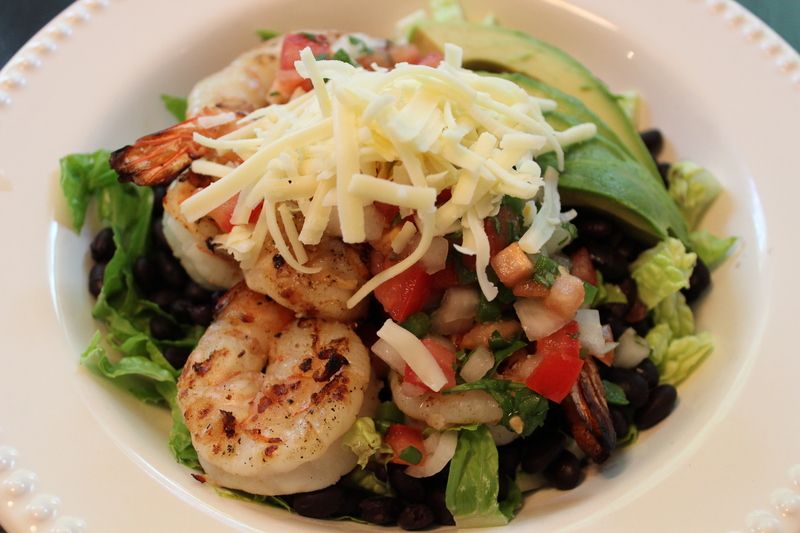 Place the romaine in a mixing bowl, and in another bowl, toss together all of the other ingredients. 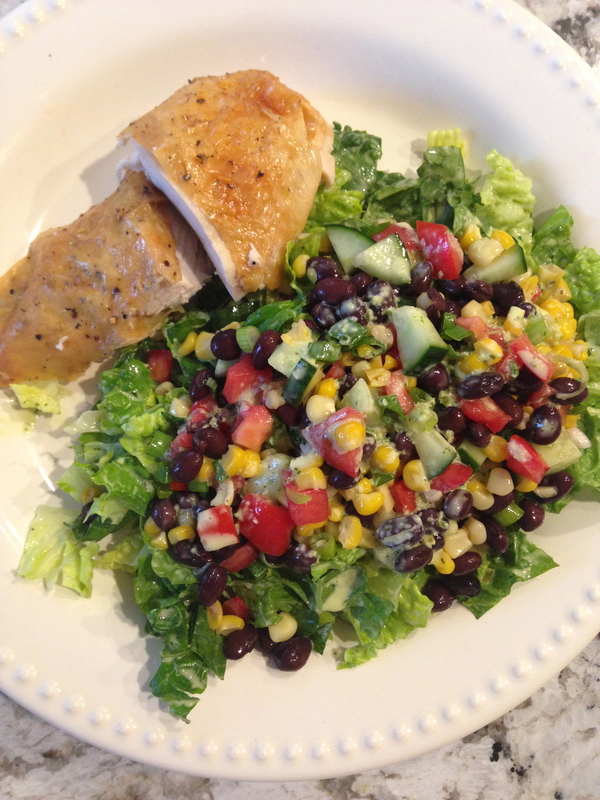 Once the dressing is ready, toss a little with the romaine, then place the dressed lettuce in serving dishes. 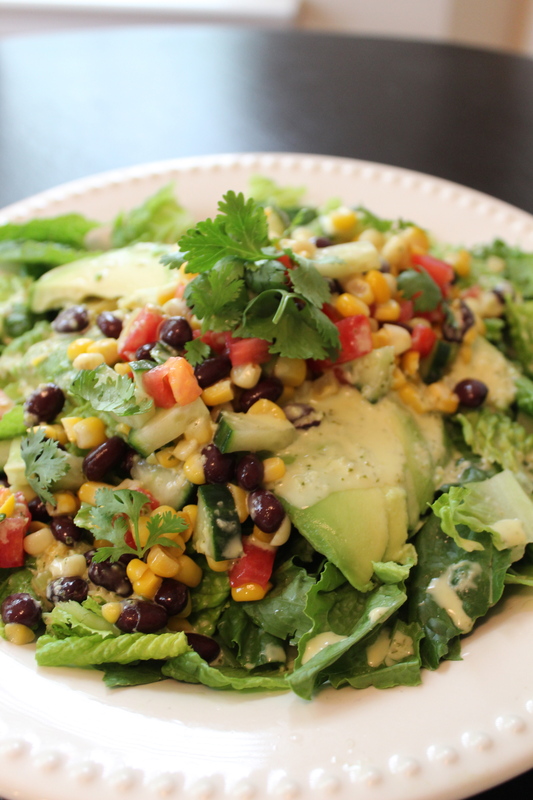 Top with the corn and vegetable mixture and drizzle on more dressing if desired. 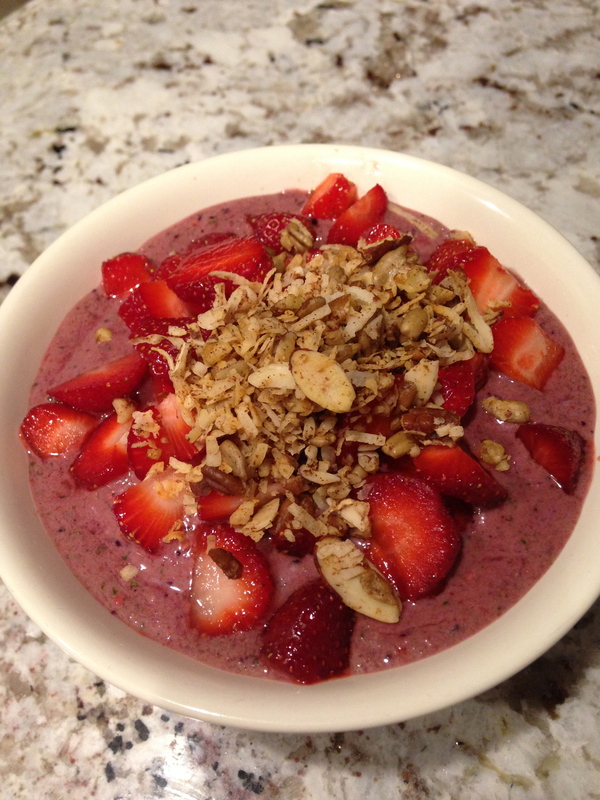 Combine all of the ingredients in a food processor or blender and pulse until very smooth. It will be slightly runny. This should keep for at least several days in a jar in the refrigerator. I made mine a few hours before eating it so it had time to chill. *If your onions smell really strong, you may want to use only one. You could also experiment with using garlic instead of onion. Another tip: If it tastes too bitter (from the lime or onion) for your liking, try adding a bit more honey and/or a little extra mayonnaise. 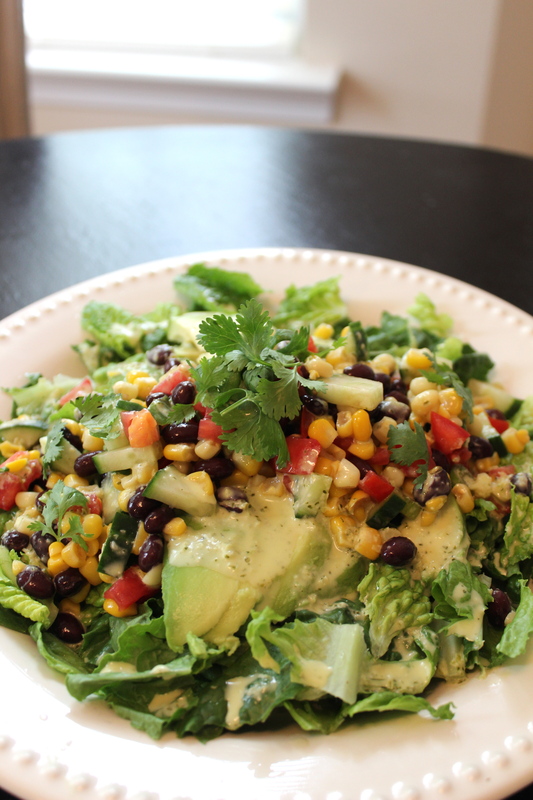 This dressing would be perfect on any type of tacos, especially ones with fresh ingredients. 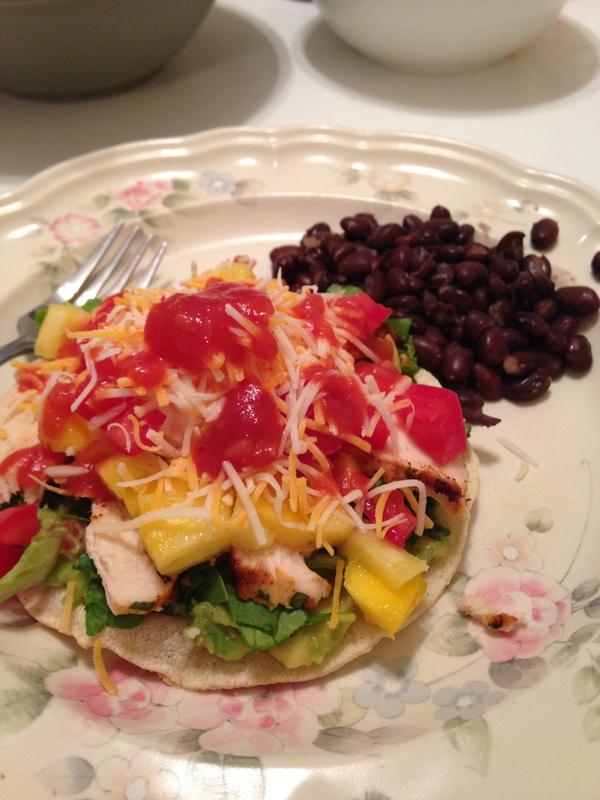 It would also work really well over nachos, or on grilled chicken or fish. We served our salad with roasted chicken. Life has been so busy lately! If it weren’t for the weather, it would feel like Summer “vacation” is over! I’m pretty tired – life just does that to you. ;) But, I’m grateful for the fun times, family visits, and sweet moments that are sprinkled throughout our days. My sister-in-law took this while she and my mother-in-law visited 2 weeks ago. Tower building is a favorite activity around here. Chilling at the pool after swim lessons. 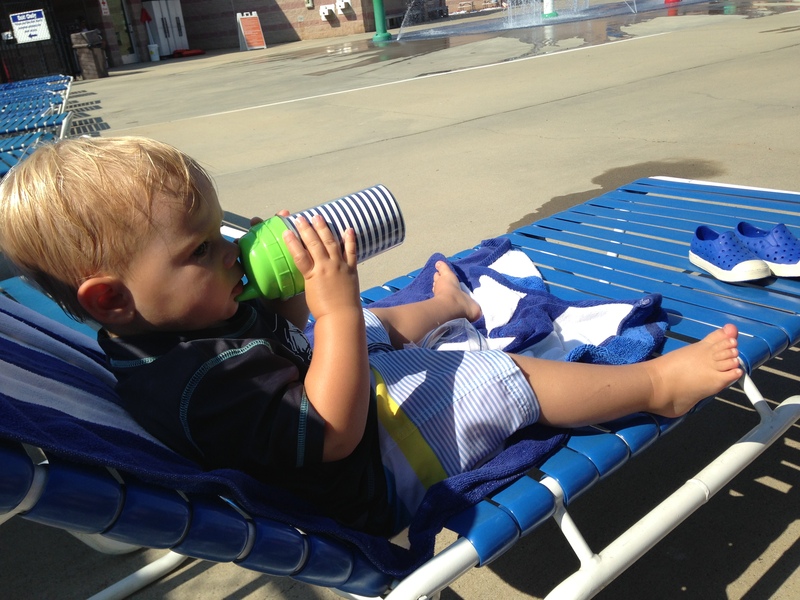 The boy loves beach/pool chairs! 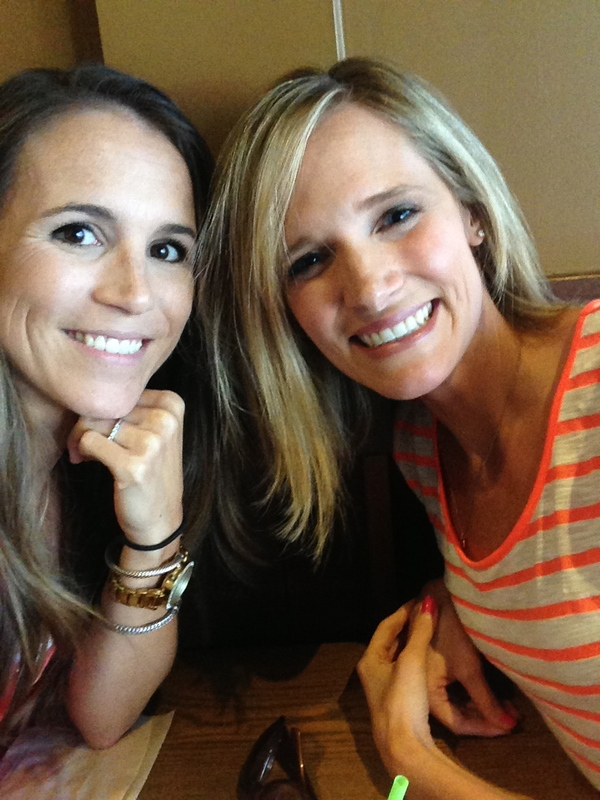 I was able to have a day-long lunch and coffee date with Casey! Much needed girl talk with my bestie from France. Thank you, Lord! And major thanks to our husbands for keeping our kiddos. Todd had been gone most of the week, and I needed a Saturday morning for Davis to help the day go by faster. So I decided to let him paint! 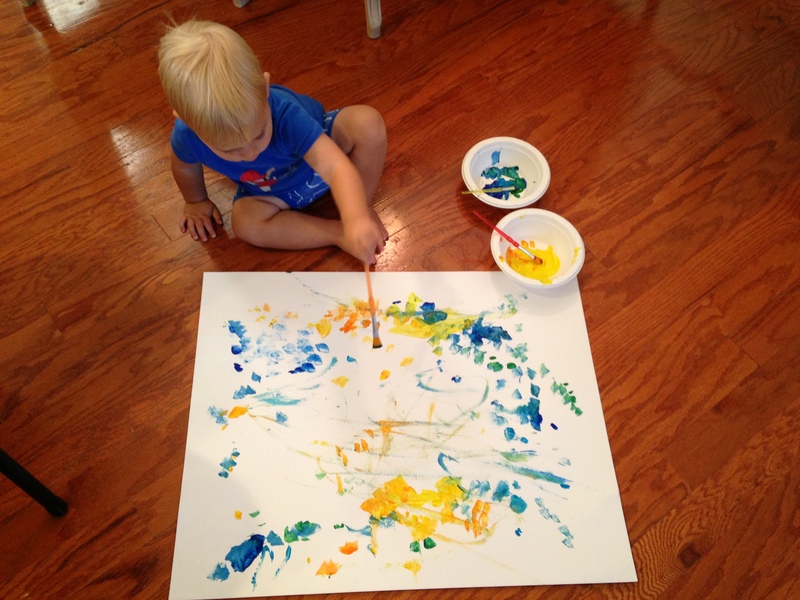 This is a piece of poster board, and he used washable paints from Target. He loved it and wanted to paint several days in a row after that. I’m thinking we need to buy him an easel. We walked down to a field in our neighborhood one afternoon so that the boys could let out some energy. 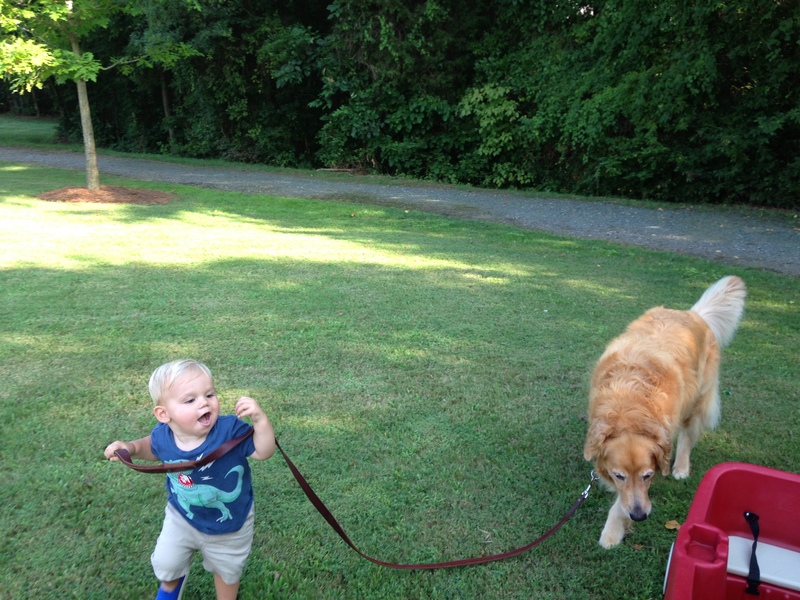 Davis thought carrying the leash was hilarious. Kenan, not so much. Sometimes in the evenings when I am getting dinner ready, I’ll give Davis something to snack on while he’s running around. (Sitting still is rare for him). 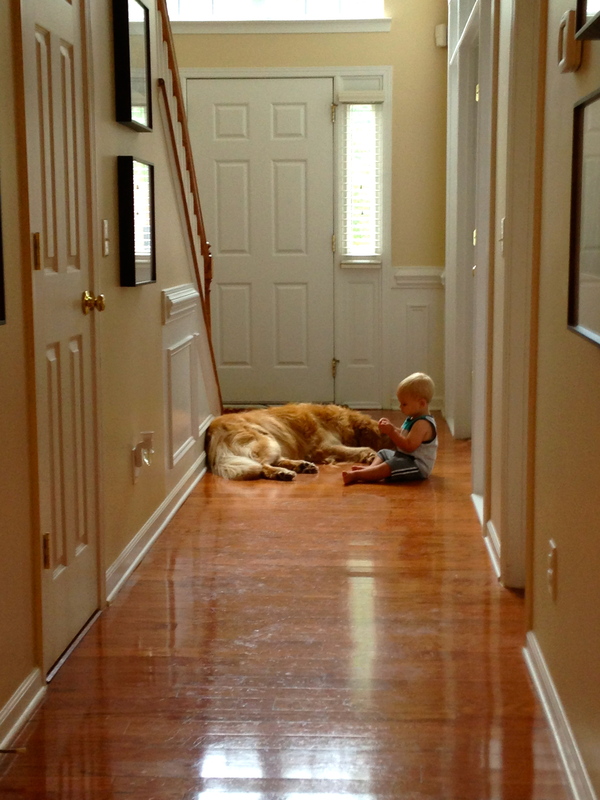 A lot of times Davis will, with snack in hand, go find Kenan and sit right beside him. Then he’ll come back for another cracker or carrot, and go back and sit with him again. Not gonna lie, it melts my heart! 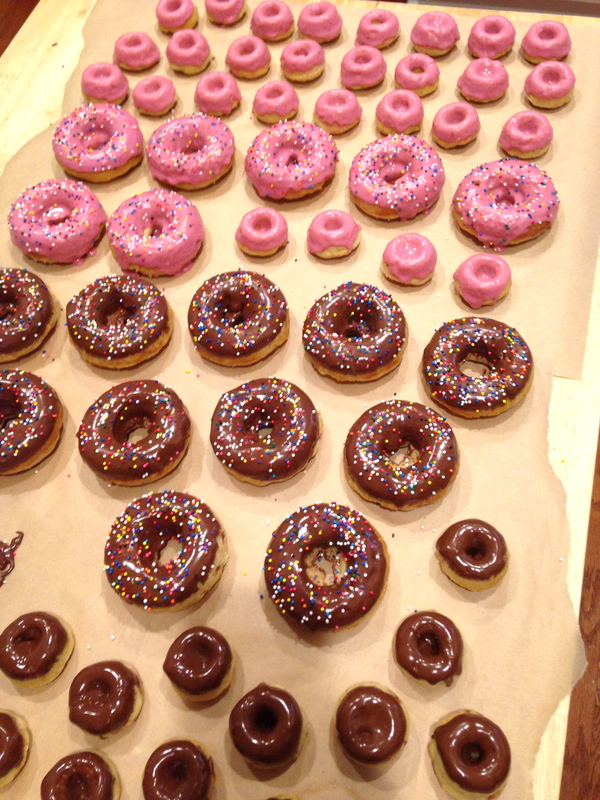 I made some donuts for church the other day and had to take a picture. Such a fun sweet to bake! We were able to see Casey again! And her hubby, Antoine! 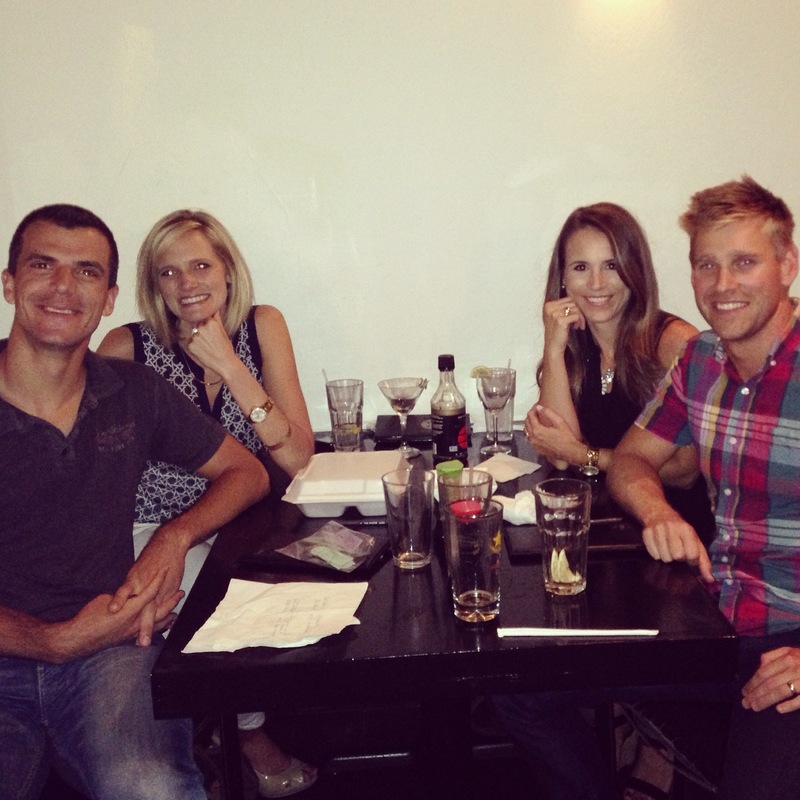 We met them out for a sushi double date in Greensboro and it was awesome! Now we just need to plan another trip to France to see them again. Thank you to Grandma and Grandpa for keeping D! 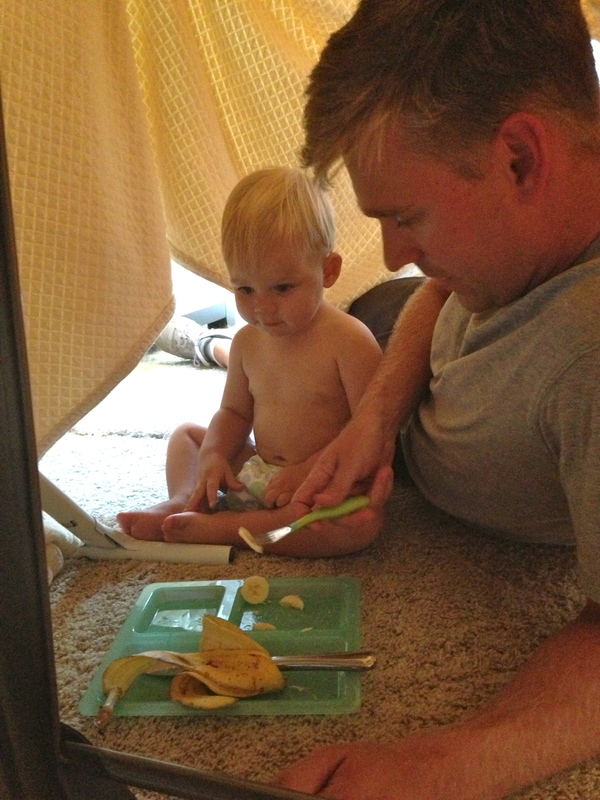 Watching Cars on the iPad, under a fort, eating a banana. Oh, and no clothes on D. Ha! My handsome Sunday lunch dates. 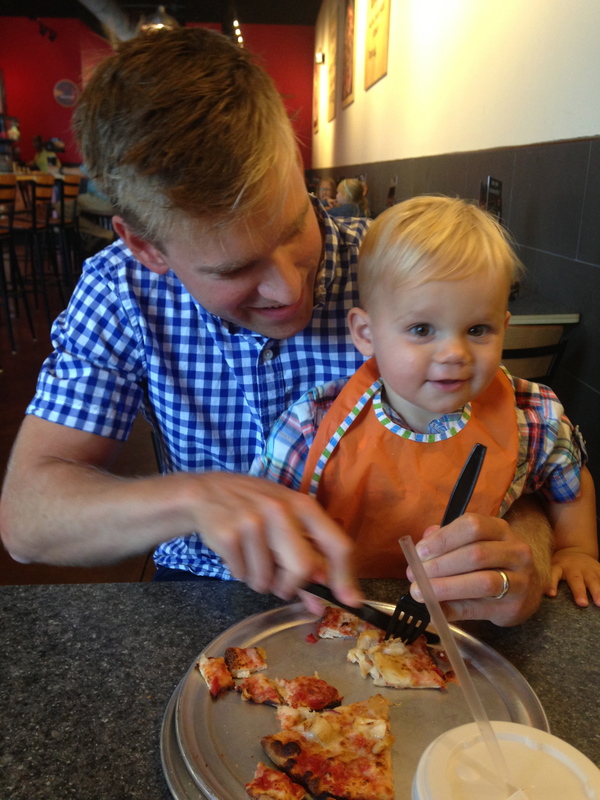 Sarah and Jeremy got us hooked on this pizza place, and we’ve been going with them after church. We missed them last week! 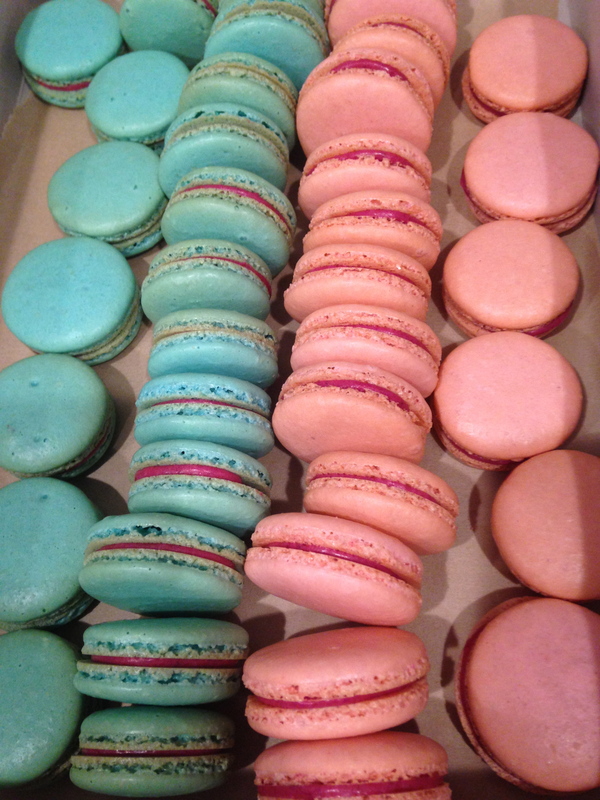 I made some macarons for a friend’s gender reveal party this week. They announced the gender last night – pink it is!! It’s only 2.5 days until the weekend. Hooray! 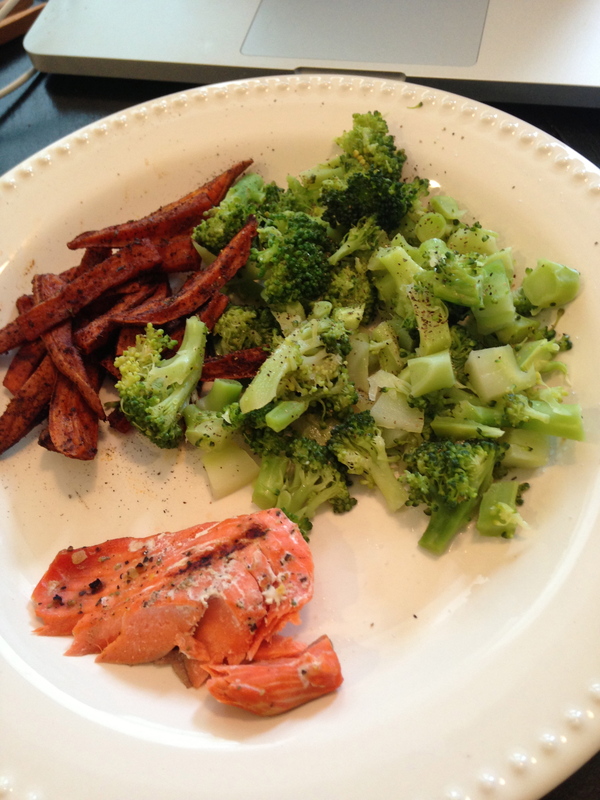 I am trying to keep up with the meals we eat so that I can continue to post clean eating ideas. I rarely make difficult meals, or use strange ingredients. Trust me, if I had time, I’d be spending hours brainstorming new recipes, researching health benefits of food and searching farmers markets and specialty grocery stores. 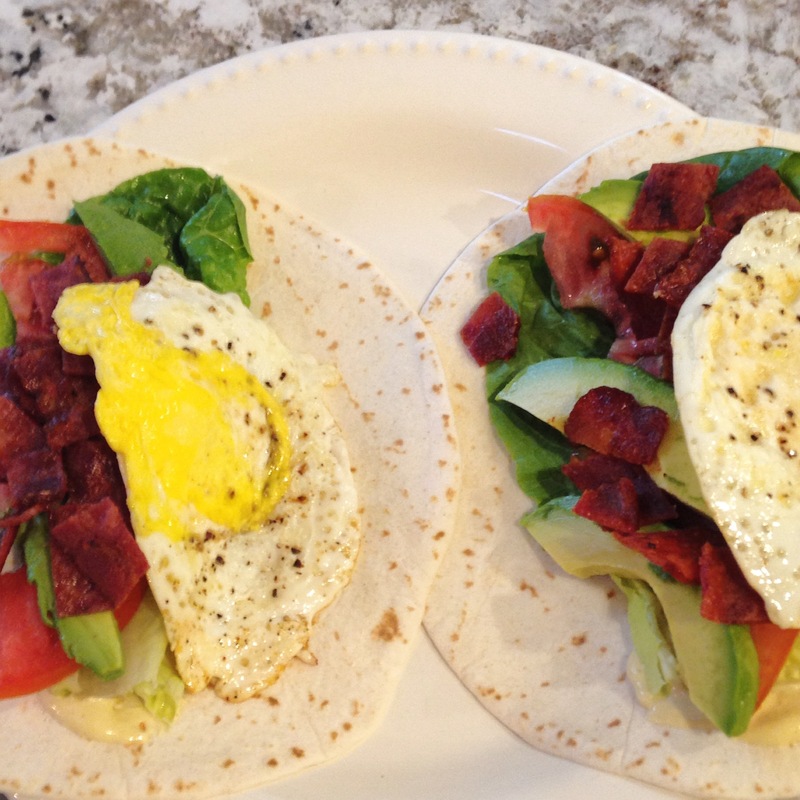 But, since that is not a possibility right now, I choose to make variations of meals with similar ingredients. That keeps the food budget in check as well! Some of the food I make may look complicated, but, for the most part, it really is not! I don’t necessarily have recipes for each of these meals, but if you have a question, let me know, and I’ll give you more detailed instructions! If I do have recipes, I included the link under the picture. Basically, it is important to keep your refrigerator and pantry well-stocked with healthy ingredients you are comfortable cooking. 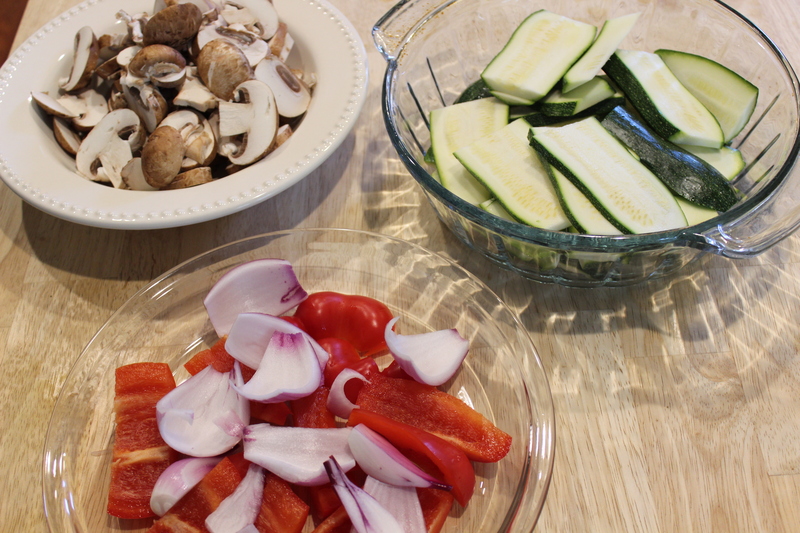 (You can incorporate almost any vegetable into a stir-fry, a side dish, an omelet, or on top of pasta). 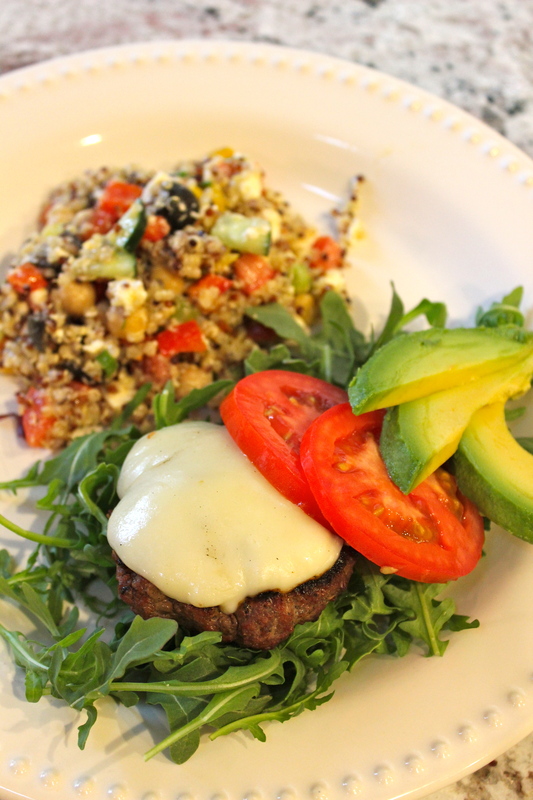 Once you get into healthy eating habits, it is difficult to stop, so I encourage you, if you haven’t already, to get on the clean eating bandwagon. It is well worth it! 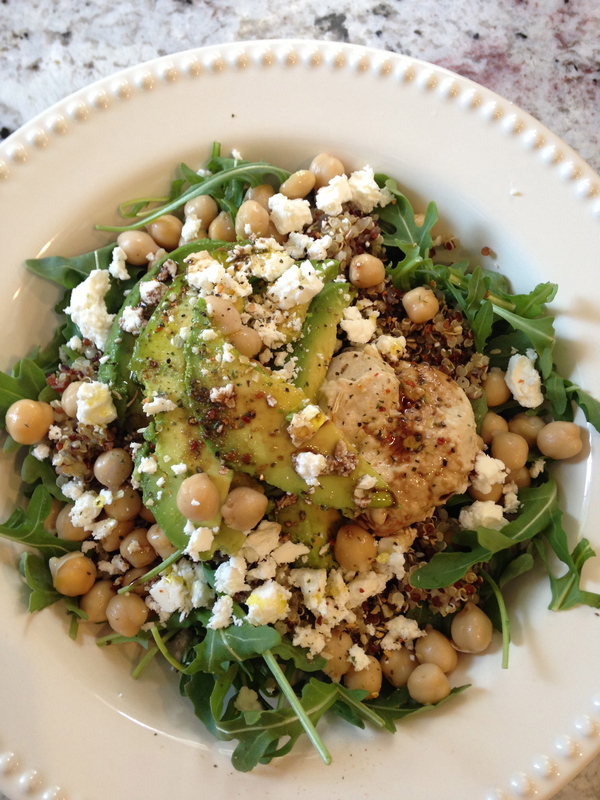 I called this a Power Salad: arugula; quinoa; chickpeas; avocado; feta cheese; hummus; olive oil; balsamic vinegar; dried herbs. 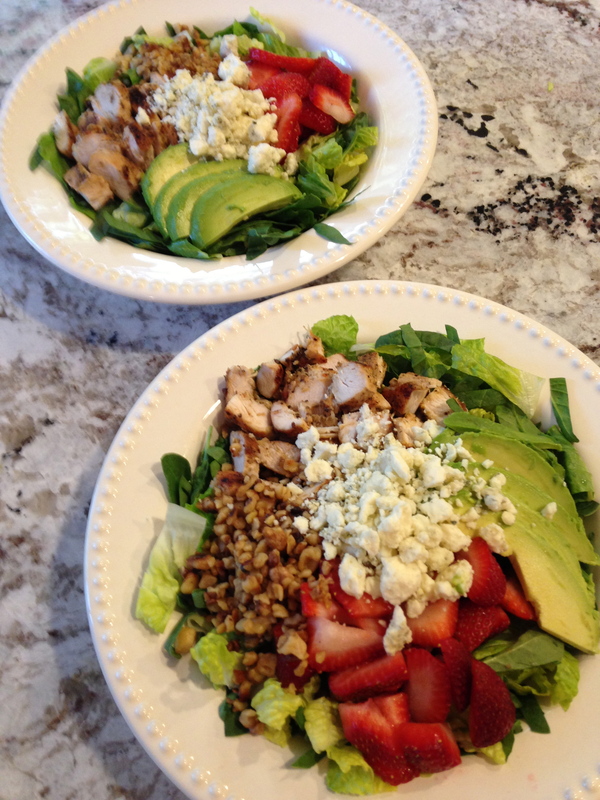 One of my favorite salad combinations so far! 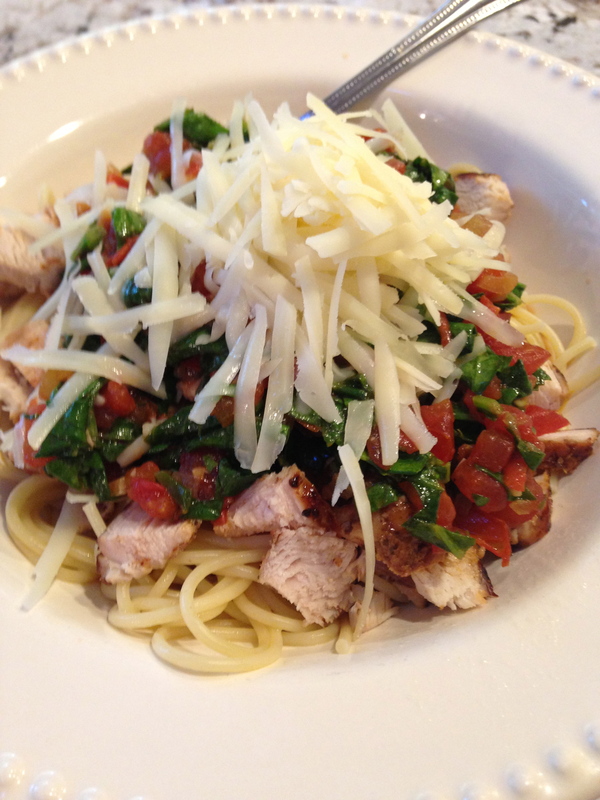 Pasta with Spinach, Tomatoes, Chicken, Asiago Cheese, White Wine Pan Sauce. 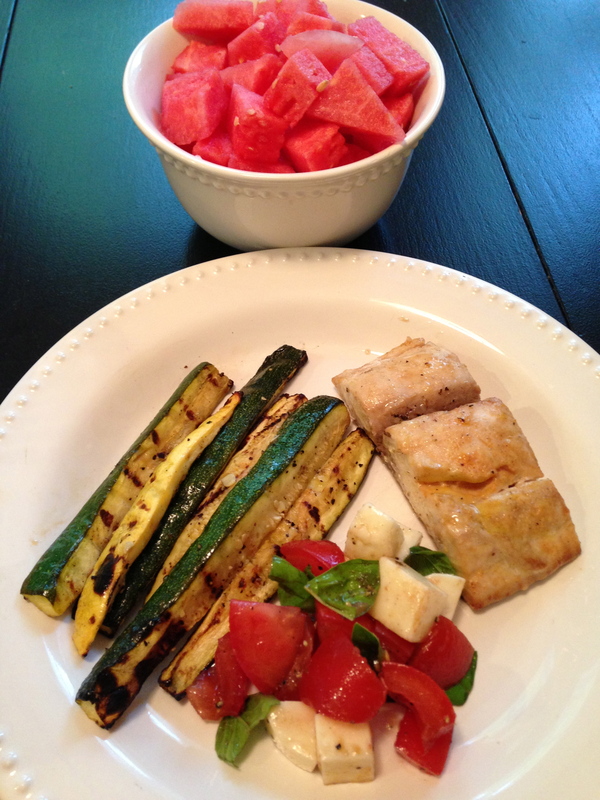 This is something I threw together – you know those nights you look in the fridge and gather random ingredients? – this meal was one of those. The picture shows Todd’s plate. I used GF brown rice pasta for myself, which just isn’t as picture-pretty. 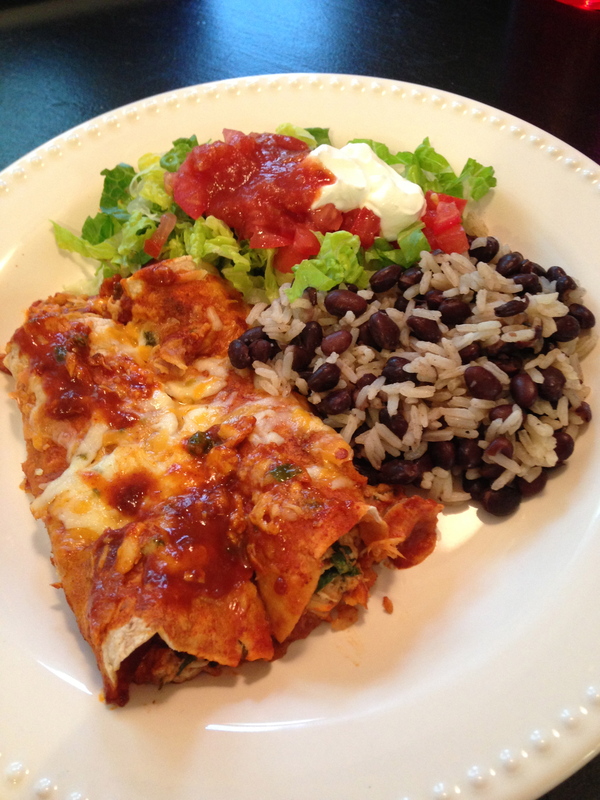 Chicken and Spinach Enchiladas with salad and black beans and rice. I used corn tortillas for myself. I hope these meal ideas are helpful to someone! Thank you for reading! 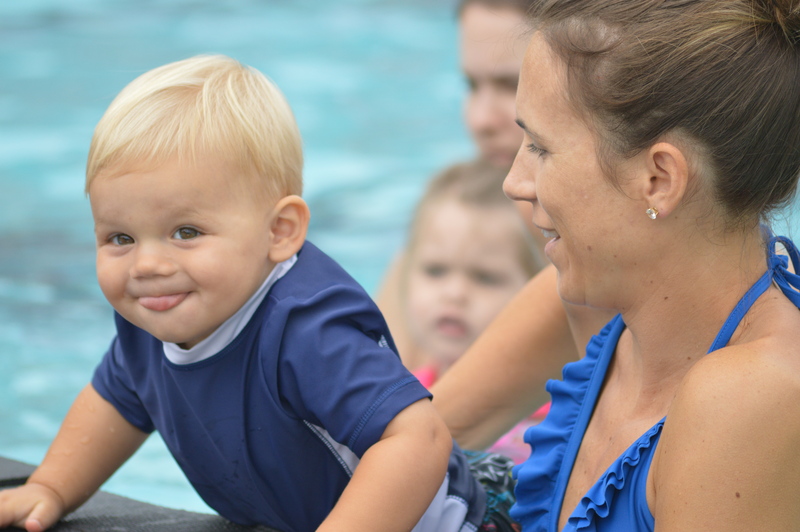 We enrolled Davis in parent-child swim lessons this summer, and he finished today! The class was 4 days a week for 2 weeks. Overall he did really well, but he was timid of the water, especially at first. Todd was able to come with us for the first 2 classes, which helped!! My mother-in-law and sister-in-law also came for one of the days, and took the pictures of Davis and I – thank you, Abbie! Davis’ favorite parts were playing with the toys, watching the other kids, laughing at me blowing bubbles in the water, participating in singing (him listening) the songs, and learning how to get out of the pool. “Elbow, elbow, tummy, knee, knee” was repeated many times the last two weeks! 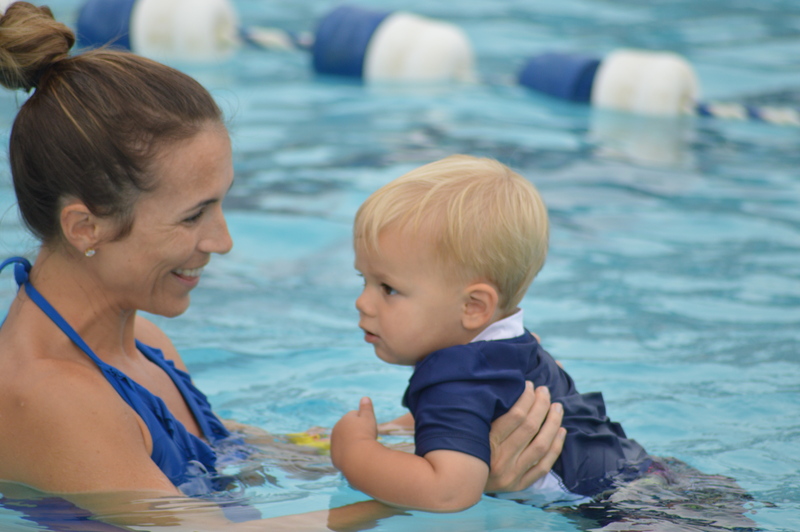 I hope to keep him in swim lessons each summer, and maybe even in an indoor pool during the cooler months. 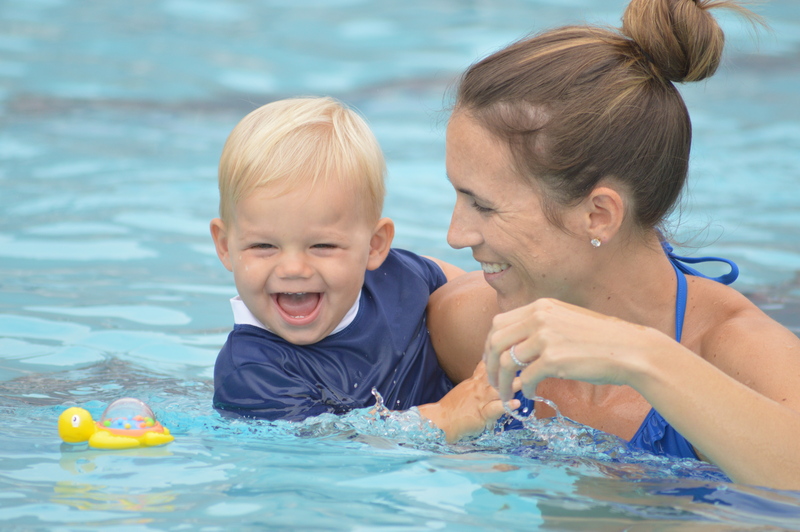 He may not learn to swim for a couple more years, but getting used to the water and learning water safety is important to us! 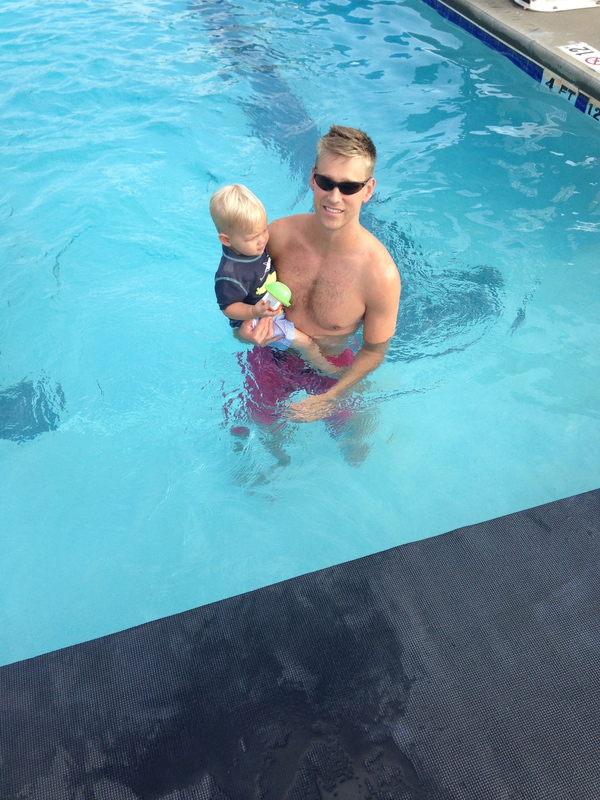 Even with the chilly water temperatures early in the morning, I’m happy we took these swim lessons! Completely using my blog to promote my husband’s and our friends’ t-shirt business. No shame! Haha, anyway, if you live in Charlotte, or are from Charlotte, or just love the Hornets, please check these out. Todd and Ryan have an Etsy shop: Honor Roll Designs where they design and sell sports-themed apparel. They have mostly had t-shirts and sweatshirts, but someone requested a tank top, which I think is a fabulous idea! 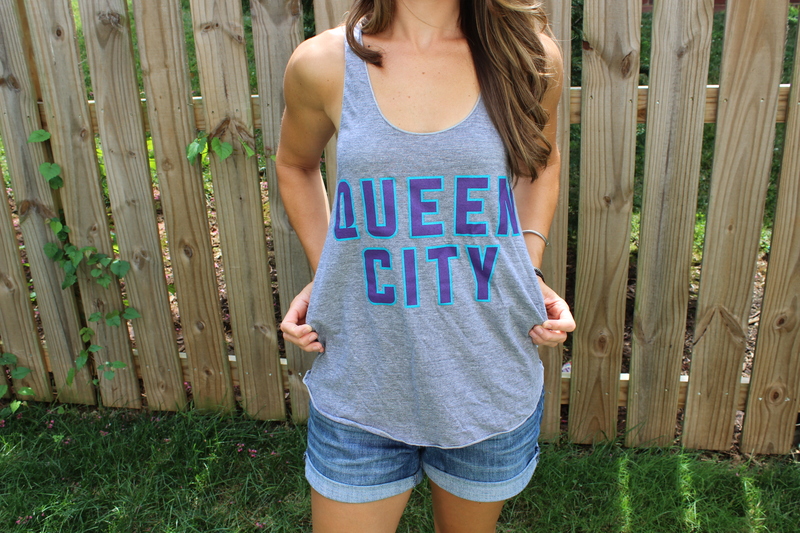 The guys worked on finding the perfect tank, then Ryan made the design work for t-shirts and Queen City and Charlotte Hornets tank tops! 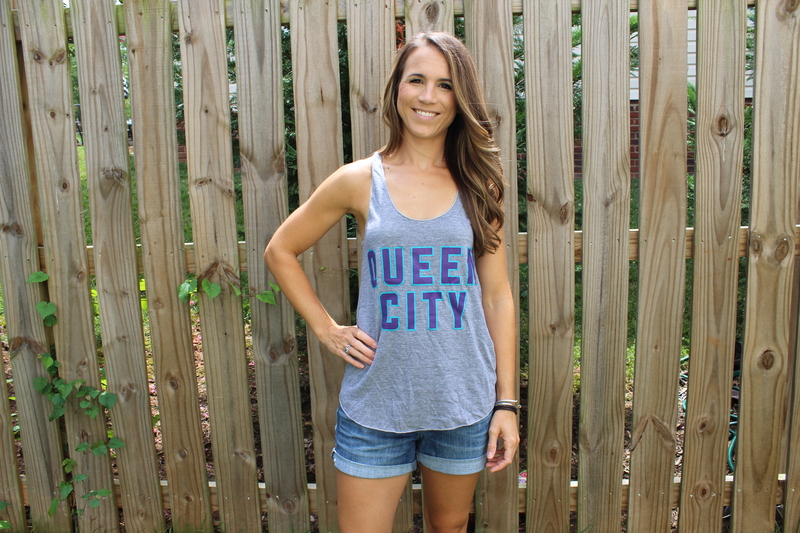 I wear my Queen City t-shirt all.the.time and I can’t wait to (hopefully) wear one of these to a Charlotte Hornets game this year! It has the players’ names from the 1992 team. If you grew up in Charlotte, I’m sure you remember these names. Muggsy Bogues = Charlotte, NC hero. I am wearing a medium in these pictures, but I’d probably pick a small as this one is a little long on me. It is supposed to have a relaxed fit. (I am 5’5″ for reference). Also, they are American Apparel brand shirts. I’m so proud that Todd and Ryan have made this dream of theirs come to life the last couple years. They have shirts with other teams, sports, and ones that represent other cities. Please let me know if you have any questions about the shirts, and don’t forget to visit their Etsy site! I made these quesadillas a couple weeks ago, and they are a perfect summer meal! You could even grill the vegetables ahead of time. 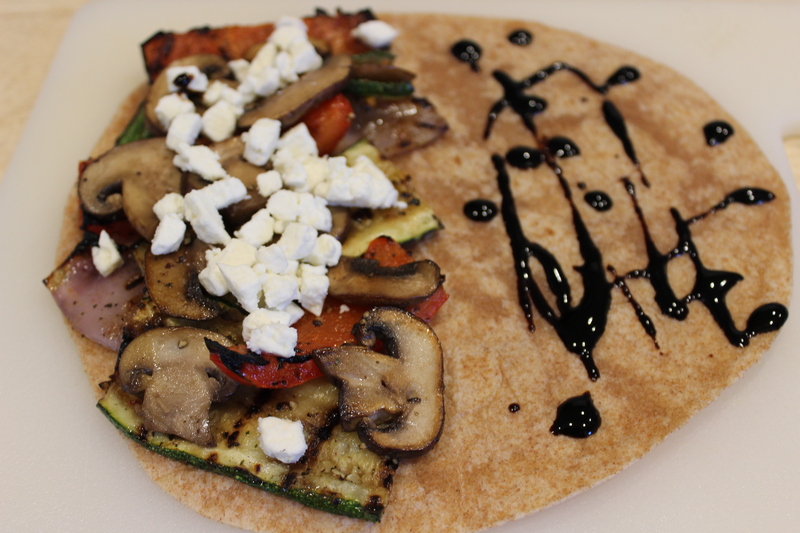 These flavors are a great combination – grilled vegetables with a bit of a charred taste paired with sweet and tangy balsamic glaze and rich feta is delicious. The method and recipe are so simple, and you can substitute in different veggies, add some meat, or even add some fruit, like pineapple! I also wanted to add some of my tips for cooking mushrooms – see those at the bottom of this post. Toss the cut onion, pepper, and zucchini in 2 Tbsp olive oil, a little salt and pepper, and the dried herbs and crushed red pepper. Let sit for 30 minutes. 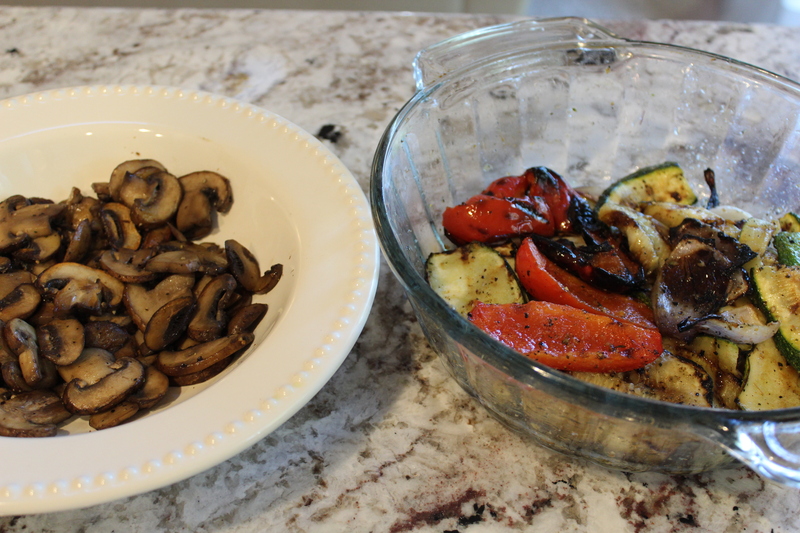 Grill the vegetables until they are slightly softened. Remove the mushrooms from the pan. 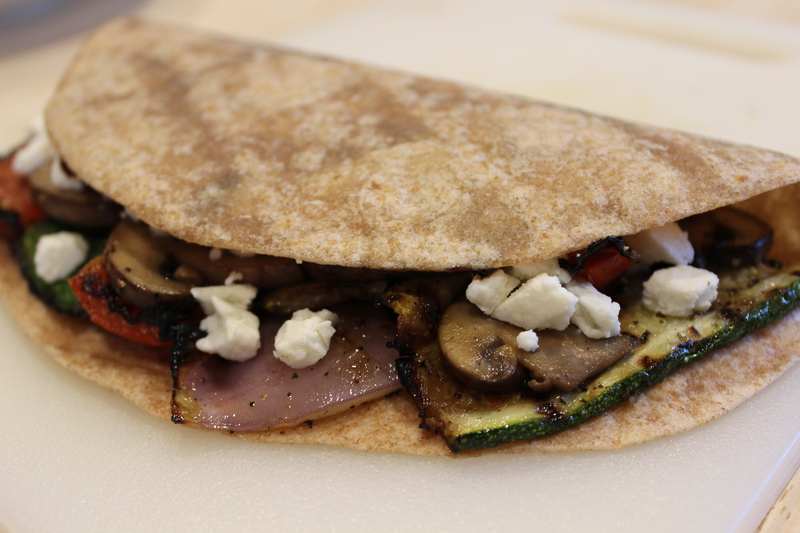 To assemble the quesadillas, layer the vegetables out onto one half of the tortilla, then top with feta. On the other half, drizzle with balsamic glaze. Close, and cook in the sauté pan. Use nonstick spray if desired to help brown the vegetable quesadilla. Cook on both sides, and enjoy! *If you eat gluten free, check the ingredients. Some brands of balsamic glaze do have gluten. You can also make your own! Add 1/4 cup of balsamic vinegar plus 1 tsp sugar to a small sauce pan. Heat on medium-low until it starts to simmer. Let it simmer on low until it reduces some. It will continue to thicken to more of a syrup consistency as it cools. 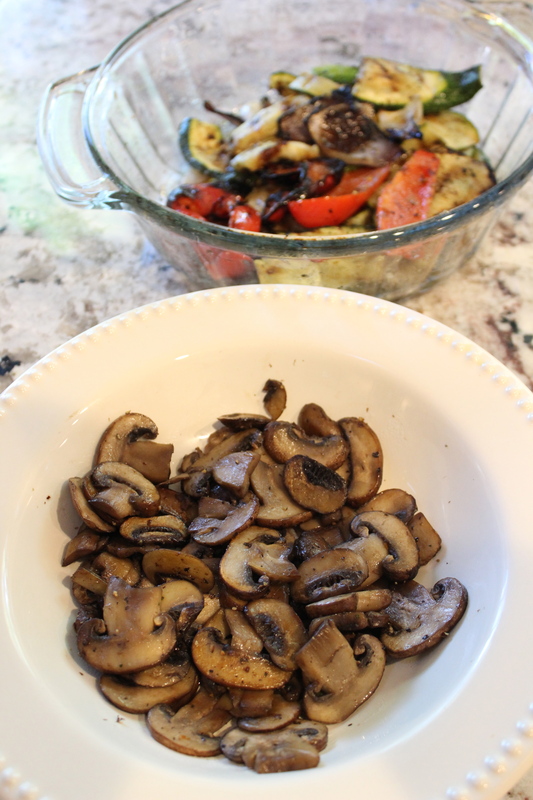 **Here are my tips for cooking mushrooms! Heat the pan before adding the mushrooms. Then heat the oil/butter. Then add the mushrooms. I like to use a mix of olive oil and butter – the butter helps brown them. Do not season until they are finished cooking. While they are cooking – do not over-stir. Let them cook and brown fully. When mushrooms are almost finished, they will release moisture. Let that happen, then let the water cook out. After the water is gone, they will finish browning. 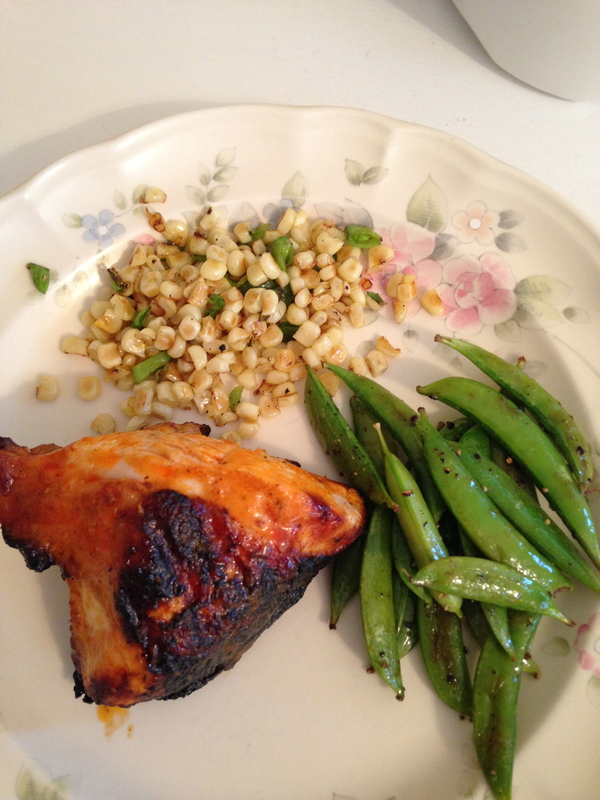 My favorite seasonings, to add at the end of cooking, are either salt and pepper; balsamic vinegar; or soy sauce. 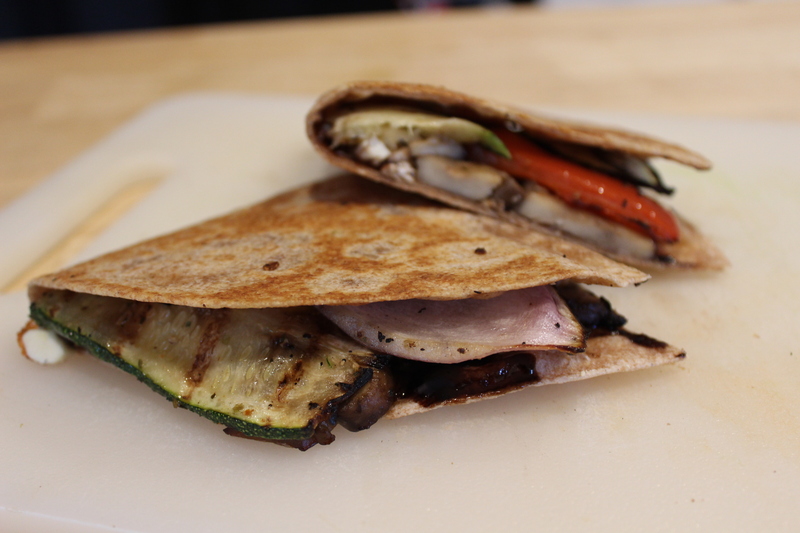 Enjoy these grilled vegetable quesadillas!